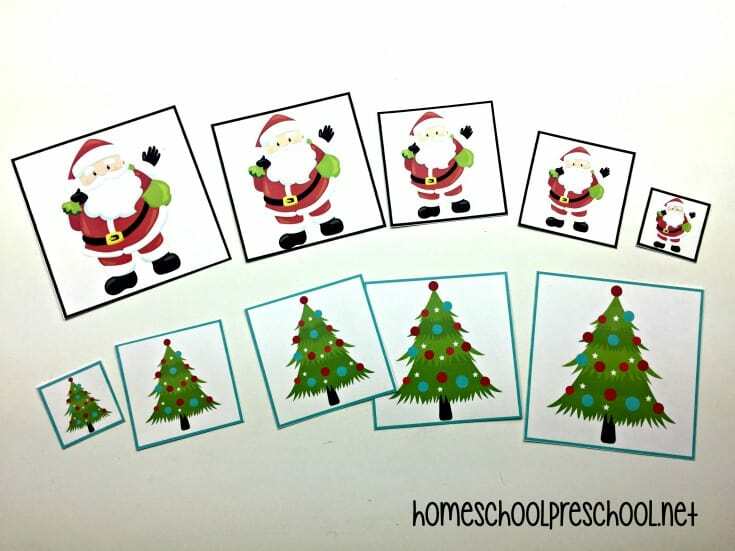 This mini pack of Christmas size sequencing cards for preschool is perfect for your math centers throughout the holiday season. 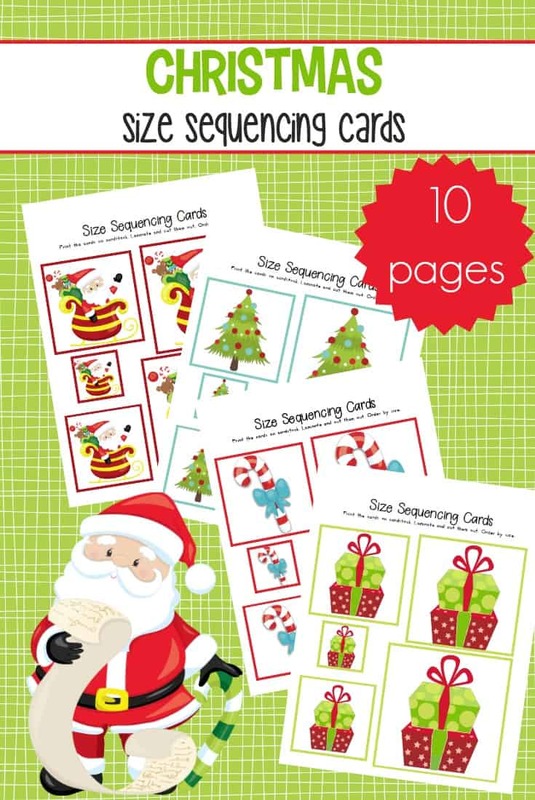 This pack includes 10 sets of sequencing cards! These sequencing cards are great for sequencing and sorting. The fun Christmas graphics will keep kids entertained and engaged for a long time. All you got to do is print, laminate, and cut out the cards. This no-prep pack will be ready to go in no time! 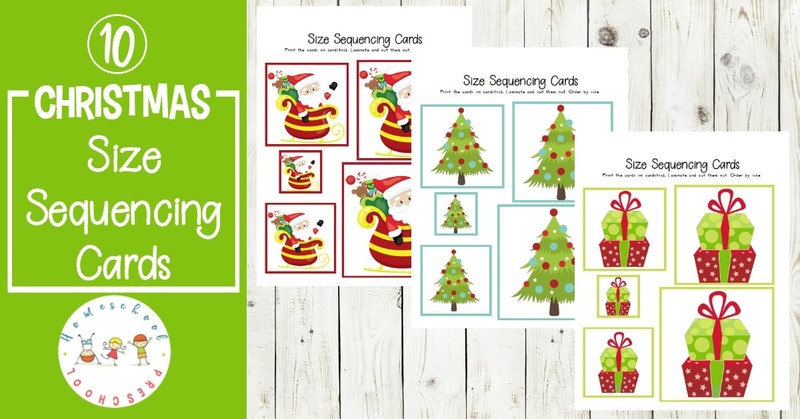 These size sequencing cards are perfect for your preschool math centers this holiday season. 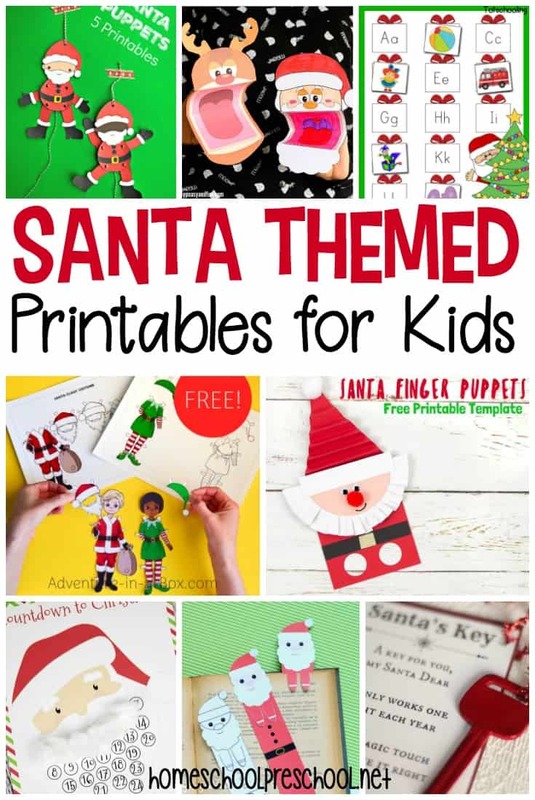 Images feature presents, nutcrackers, Santa, reindeer, and more! They can be used for sequencing and sorting activities. 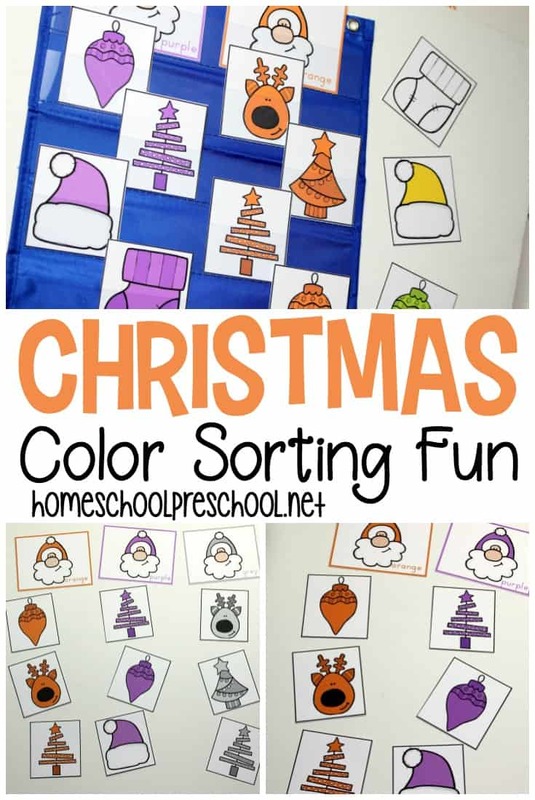 Toddlers, preschoolers, and kindergarteners will love practicing sequencing with this set of sorting cards. Kids can use the sequencing cards to order the images from largest to smallest or smallest to largest. There are five sizes included in each set with obvious size differences in each one. This makes them great for even your youngest learners. In addition to sequencing, these cards can be used for sorting. You can put them all in a pile and ask children to match the sets. Find all five trees or all five Santa’s no matter their size. Or, ask students to find all of the largest objects. Work your way through the sets until you have five sets of cards all the same size. With the bright colorful graphics on each card, you could talk about colors. What color is the tree? What color is Santa’s bag? These cards lend themselves to talking about syllables (how many syllables are in the word ornament), beginning sounds (which picture starts with “r”), and rhyming words (what rhymes with tree). There are so many ways to use these sequencing cards. 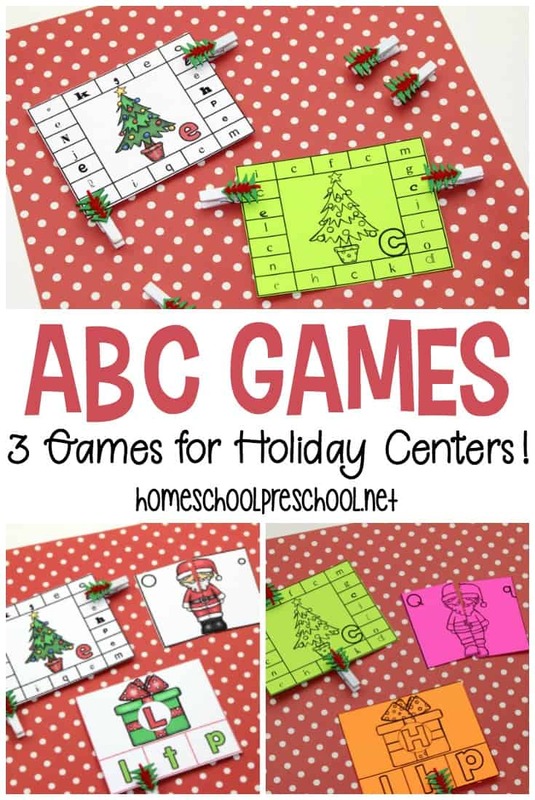 You’ll be able to add them to many of your Christmas activities for preschoolers. These size sequencing cards for preschool are only available to my readers. Click the button below, enter your information, and you’ll be taken directly to the download file. Great for teaching kids with special needs.